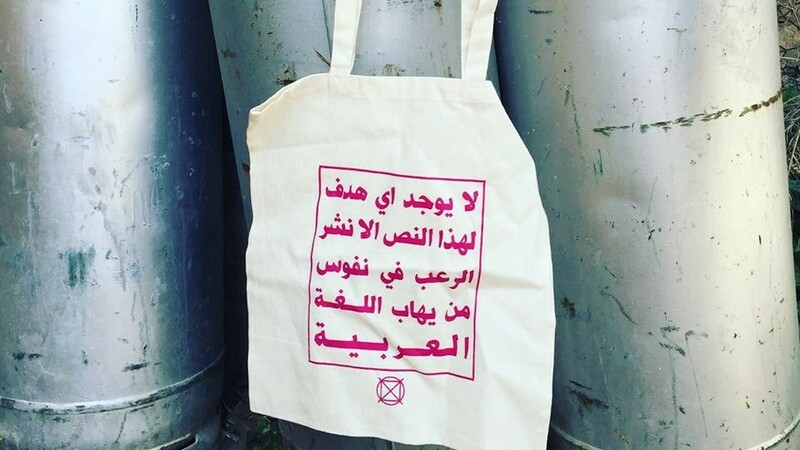 A tote bag designed by an Israeli-Arab design studio to “terrify” Islamophobes has become a hit on social media. It was spotted on the Berlin metro this week by journalist Nader Alsarras, who promptly uploaded a photo to twitter. It has since been liked and reposted tens of thousands of times. 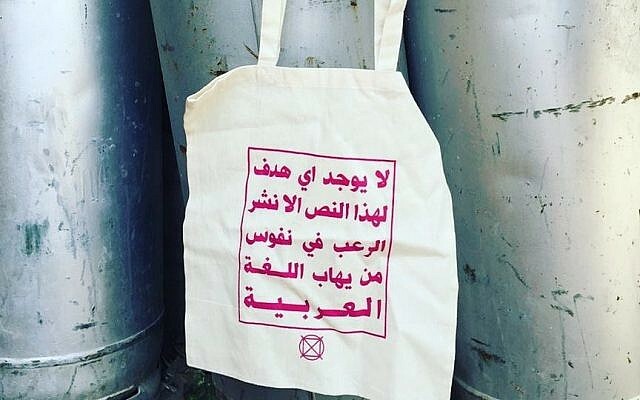 The bag was created by Haifa-based studio Rock Paper Scissors, run by two friends, Sana Jammalieh and Haitham Charles Haddad, who met at Tel Aviv’s Shenkar College of Engineering, Design and Art.